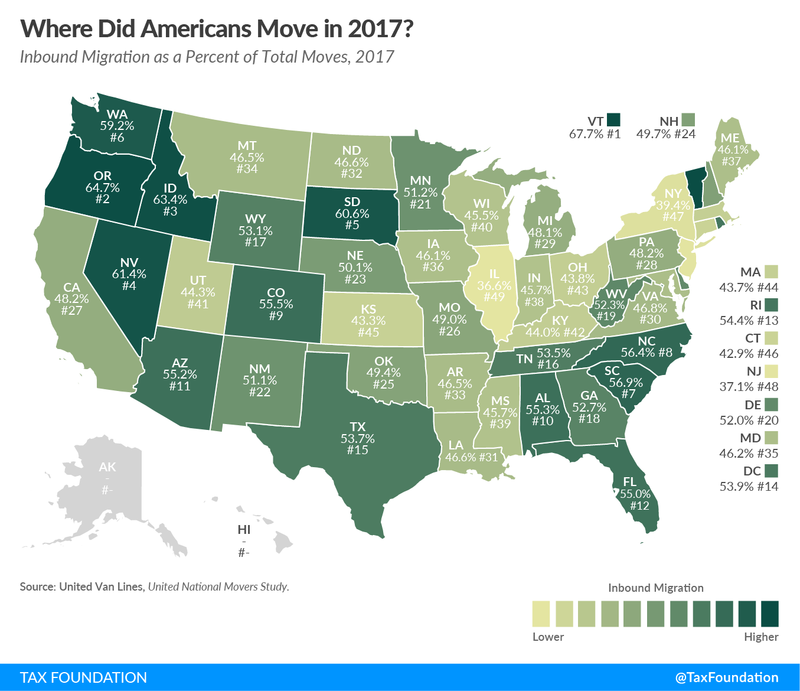 Vermont, Oregon, Idaho, Nevada, and South Dakota had the most inbound migration in 2017, while Illinois, New Jersey, New York, Connecticut, and Kansas had the highest outbound migration. Nebraska and New Hampshire were balanced, having essentially equal inbound and outbound moves. 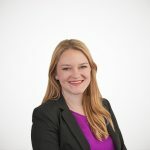 There are many ways that states can compete with one another for residents, and tax rates and structures should certainly be part of the conversation for states looking to attract new residents. For more information on how state tax climates compare, explore our 2018 State Business Tax Climate Index.